It was a still cold day, I went to Oita to take onsen bath. 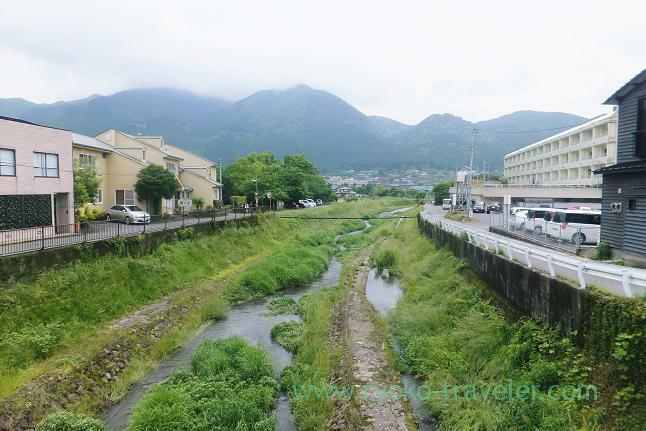 Now Japan is in rainy season and especially Kyusyu region have been raining all day. So, visiting there in Spring and Winter is most recommended. 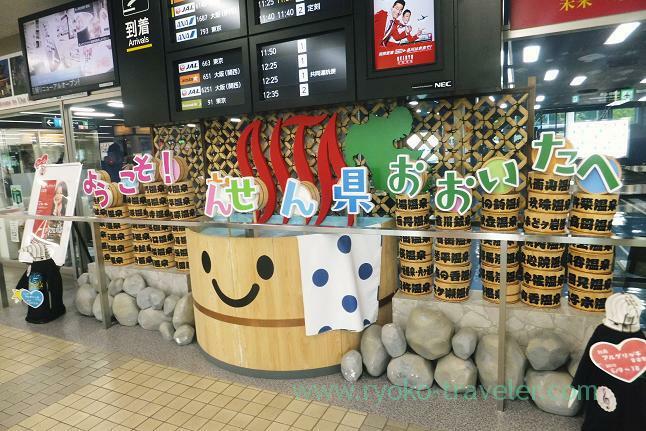 Such a cute object welcomed us at Oita airport. I took Jet star airline to Oita airpot from Narita airport terminal 3 as usual. At Oita airport, I took bus for Yufuin bus terminal and it took about one hour. More detail about it is here. 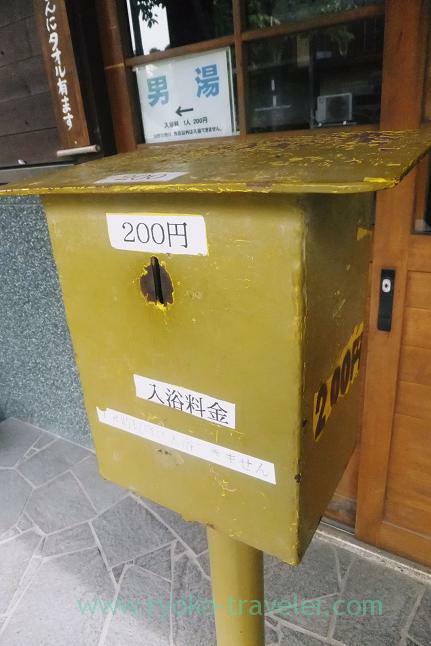 Before I started hanging around, I bought a ticket to Amagase station. And then I went toward Kinrinko lake. 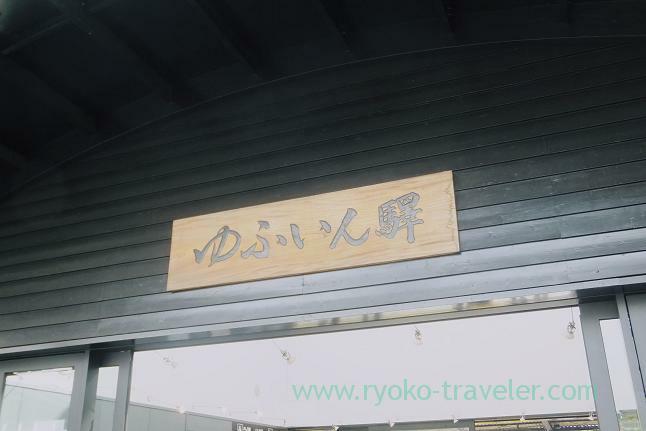 I had a plan that I have lunch at “Yufu Mabushi Kokoro” and eat Bungo beef close to Yufuin station. 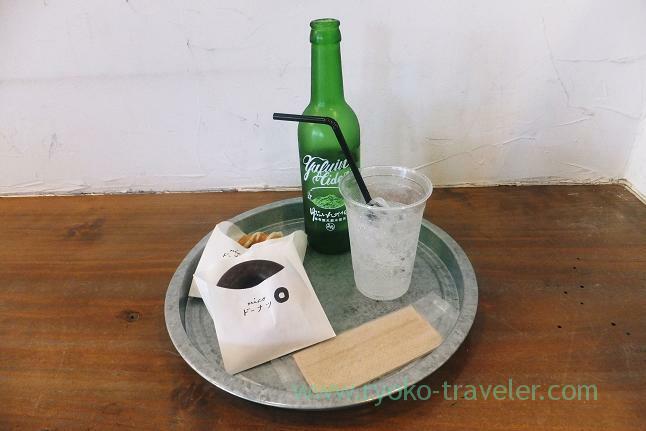 So, I decided to have lunch at this doughnuts shop. 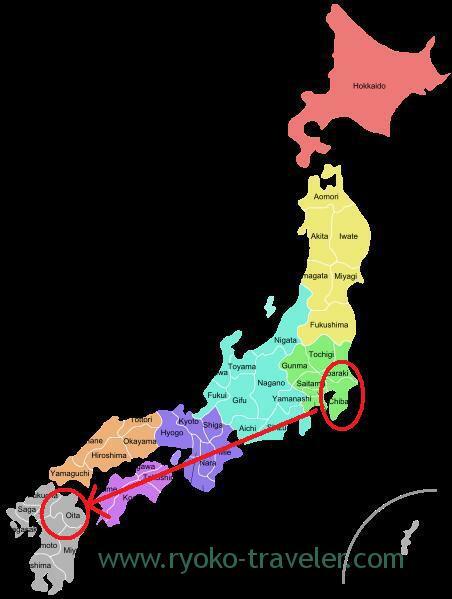 The branch is in Tokyo, too. But this is the head shop. You wonder why I ate oily doughnuts nevertheless I wasn’t feeling very well. After that I went to Kinrin-ko lake. 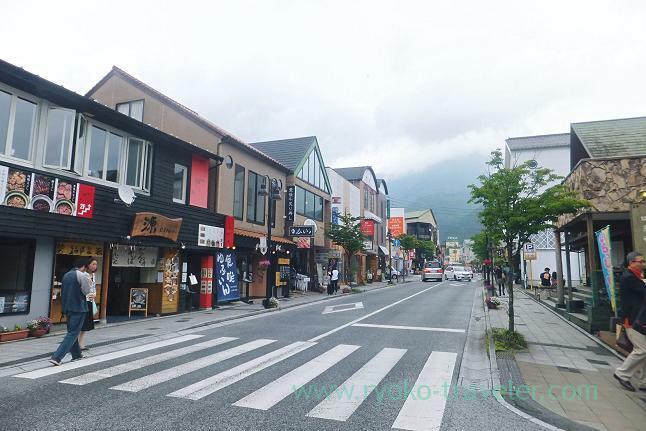 The street on the way to Kinrin-ko lake is very busy street and there are so many shops like souvenir shops, soft ice cream shop, cafe, karaage shop… and so on. 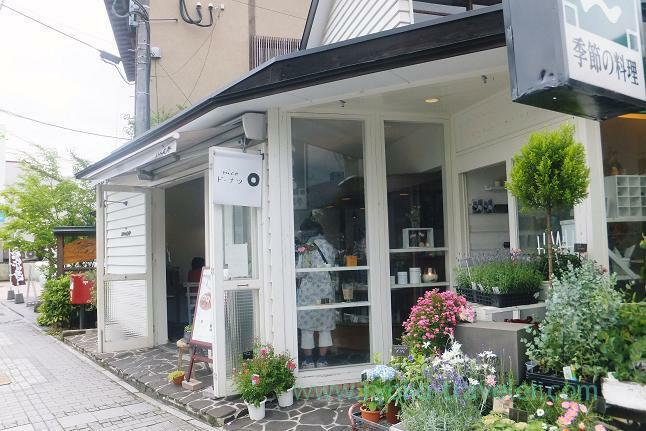 I wanted to have tea at outdoor seat of the cafe restaurant in front of the lake, but to my great regret, they were closed because of wedding party ! Oh my ! 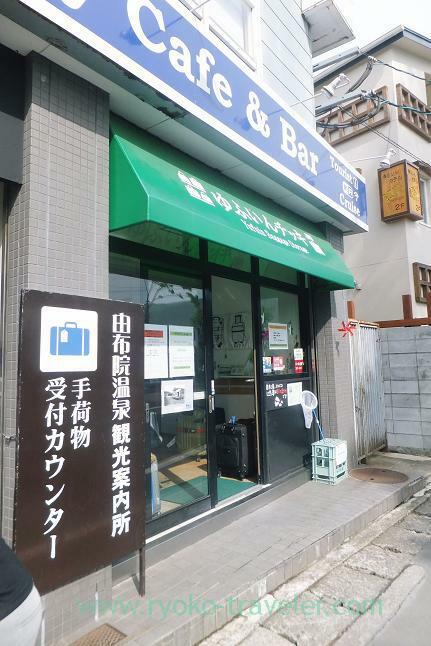 In any case, I thought I couldn’t take the outdoor seat because it is very popular. 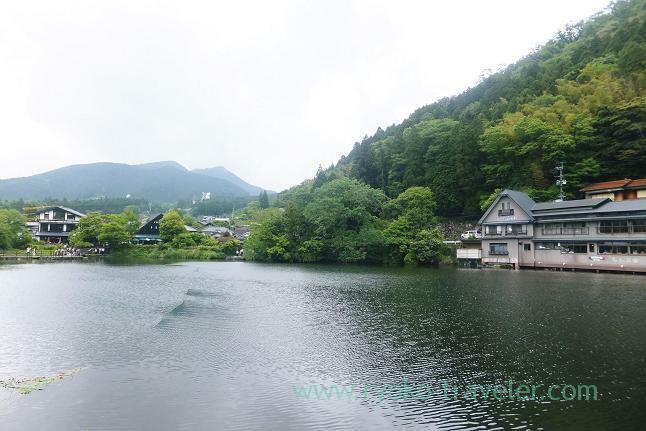 After I saw the lake for a while, I went toward Yunotsubo onsen to take Yufuin onsen spring. 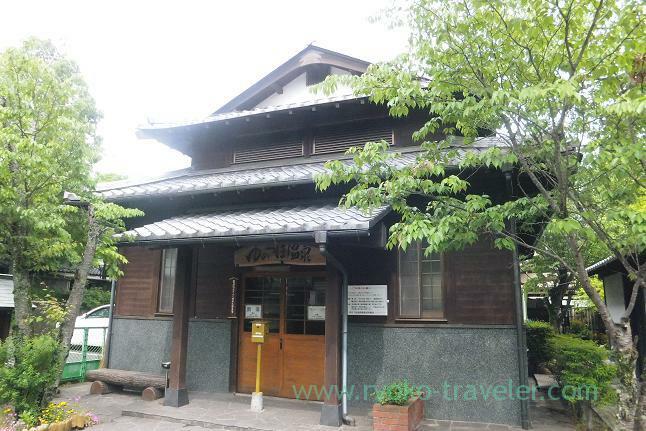 This is the Yunotsubo onsen. 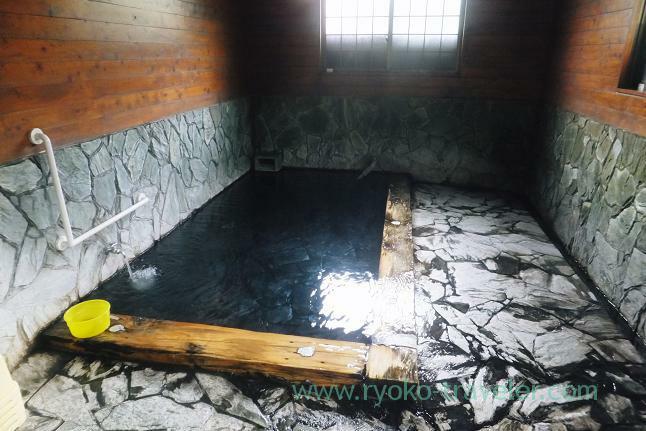 It is public onsen facility and everyone can take the bath for 200 yen. It was very very hot ! 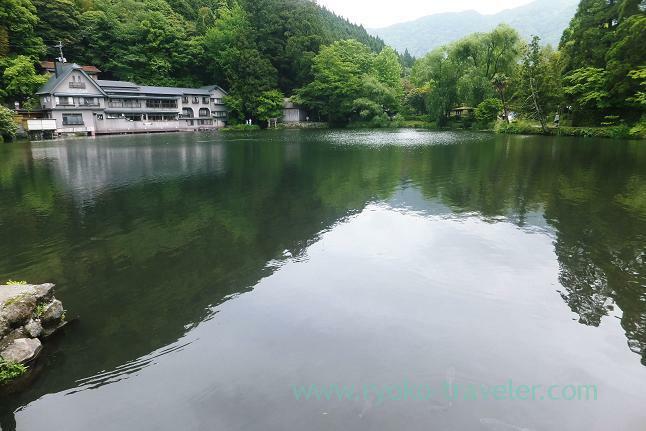 The women’s bath seemed not have guests and hot onsen spring was being poured without cold water. 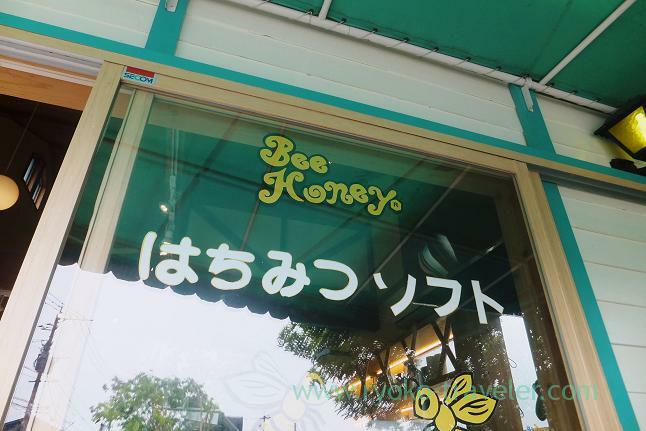 I enjoyed the sweet soft ice cream, and after a while I found I was surrounded by Korean people. Well? There are only Koreans except me ! 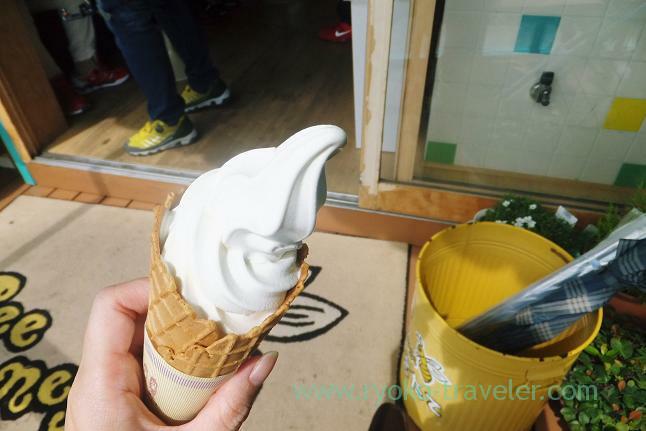 Certainly the ice cream is very tasty and understood why so many Korean tourists gathered. 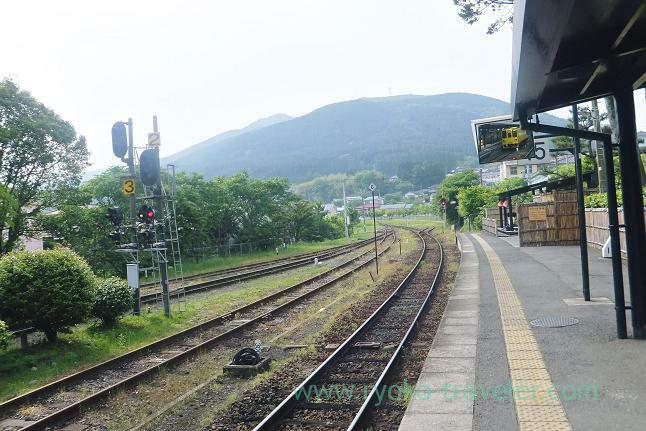 After I went back to Yufuin station, I got my baggage at Yufuin Chikki and went toward Amagase Onsen that had my accommodation that night ! This sounds like a lovely trip! Well except feeling sick from the bus. But I want to go to an onsen too one day!